When I attended my first National Planning Conference in 2014, I didn't quite know what to expect. I had been to state conferences before, but this was an entirely different ballgame. Four years, two terms on the Student Representatives Council, and three NPCs later, I've learned a few things about what has made each conference valuable for me. Volunteering is a great way to make national conferences affordable, meet other students, and learn about the ins and outs of the NPC. It's a pretty sweet deal — volunteer during one 5–8 hour shift during the conference and walk away with $100 cash. If you were able to score the early-bird rate, volunteering effectively gives you a registration expense of $25. It's always nice to see a friendly face at the NPC, so do yourself a favor and sign up to be matched with a mentor. Mentors help you navigate the conference, as well as next steps in your career. I know a student whose NPC mentor helped him land a job after graduation! NPC is one of the best places to connect with planners around the nation. Touch up your portfolio, resume, and business cards before the conference, and bring them with you. I guarantee they will come in handy! Need some help getting your portfolio and/or resume to a good place? Check out sessions in the Career Zone focused entirely on helping you improve your materials. I brought my resume to the first conference I attended and to this day, I appreciate the advice, insight, and suggestions I received from experienced planners to better tell my story. SRC/YPG exchange: This event is hosted by the Student Representatives Council and features the stories of young professionals, Planning Student Organization leaders, and APA national leaders. Be sure to stick around for the social event that follows. Chapter and Division receptions: Chances are the Chapters and Divisions you are a member of will have a reception at some point throughout the conference. Welcome Reception: This reception is a great way to meet planners of all ages in a casual setting. Tickets are free, but required to attend. Remember to claim a ticket when you register for the conference. Keynote speakers: These are almost always a must in my conference routine, because they get you excited and inspired about planning. Fast, Funny, Passionate sessions: Need a good mid-conference laugh? Head to these sessions for quick, pecha kucha style presentations on fun topics. Recent Grad in the Working World session: Ask your burning questions and hear from a range of planners about their careers. While at NPC, make time to explore the city if you can. Pop out to a local restaurant for lunch, or plan to meet up with new friends and connections from the conference at a coffee shop or bar. A trip to the conference brings with it an incredible opportunity to explore new places with new people. Top image: Young planners meet with a representative of Prince George's County in the Career Zone at NPC17. Photo by Joe Szurszewski. 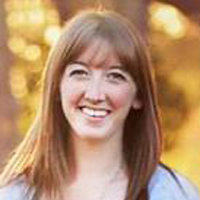 Ellen Forthofer is a past chair of APA's Student Representatives Council.